CPD lieutenant John Garrido has been celebrated for helping formerly homeless veteran Anthony Johnson. Since November, local media have been running celebratory stories about Chicago Police Department lieutenant John Garrido's efforts to help Anthony Johnson, a homeless veteran. Garrido, who met Johnson at a dilapidated newspaper stand in Jefferson Park, launched an online fund-raiser that collected money to help him find a place to live and pay for a renovation to the shack. None of the television or newspaper reporters who covered the story, however, noted Garrido's involvement in a push against an affordable-housing development in Jefferson Park that would prioritize veterans. The site, at 5150 N. Northwest Highway, would be just steps away from the shack Johnson used to sleep and sell papers and across the street from the 16th District police station where Garrido works. WGN 9 was the first to report the story after working on it "for a month." 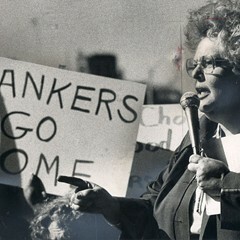 The segment describing Johnson's rough life and Garrido's intercession aired to the minor chords of an electric guitar. The police officer not only gathered friends to help fix up the newsstand but commissioned a local artist to outfit it with a mural depicting Johnson and scenes of the neighborhood. "I believe in John Garrido," artist Peter Bucks, said in the segment. 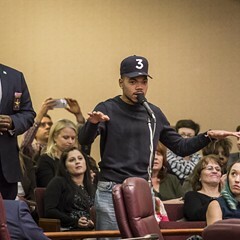 "Usually when he's got something going on it's a good thing and it's for a good cause." Local car dealer Tony Marino was also acknowledged for buying the homeless man winter clothes to ease the hardship of working and sleeping in an unheated shack. Last week, Garrido received an officer-of-the-month award from the Chicago Police Memorial Foundation. At the ceremony he was called "a prime example of someone who is making our city just a little bit better." Two more TV news segments and a prominent story in the Sun-Times celebrated his good deed. Garrido's online fund-raiser for Johnson has by this point collected enough money to get the air force veteran into a rented apartment, CBS Chicago reported. "Garrido says the 60-year-old is pretty camera shy, and that's one of the reasons that he wasn't [at the award ceremony]," Mike Puccinelli reported. "Johnson really doesn't expect or ask for a thing, and Garrido says that makes helping him all the more rewarding." ABC 7, meanwhile, did manage to get Johnson on camera, noting that he only makes about $125 per week selling newspapers, and that he wants to get a job at the hospital where he worked after getting out of the service. "In the meantime, he's grateful for his new friend," reporter Evelyn Holmes said over shots of Garrido and Johnson walking in the Loop. The Sun-Times (the main newspaper Johnson sells) ran a story plugged on the front page with a photo of Johnson and the headline "Struggling vet gets boost from officer." It too made no mention of Garrido's advocacy against the affordable-housing building. "Garrido said he’s looking into assistance Johnson’s status as a veteran might provide but that navigating bureaucratic red tape has been difficult," the story said. 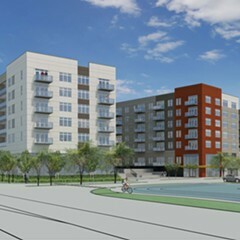 In February 2017, Garrido was vocal at a raucous community meeting held by 45th Ward alderman John Arena to explain the vision for the seven-story, 100-unit apartment building Full Circle Communities wanted to build on the site of an old food distributor near the Jefferson Park Blue Line station. 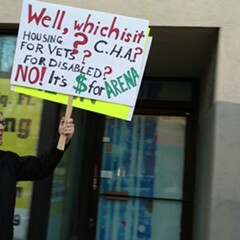 Many of the units, ranging from studios to three-bedrooms, would have full wheelchair accessibility, and preferential rental consideration would be given to veterans and people with disabilities for half of the apartments. "Our alderman is actually turning on the community and trying to play the race card to make us look bad," Garrido told WTTW last May. "If this was a four-story bulding . . . or five-story, we wouldn't be having this battle." Reached at the 16th District on Friday, Garrido said he could not offer comments for this story while on duty. Though he invited the Reader to call him on his cell phone after hours, he didn't respond to repeated subsequent phone calls. Though Full Circle's proposal failed to receive crucial city and state low-income housing tax credits in the 2017 application cycle, the project could still be funded this year, proponents said. 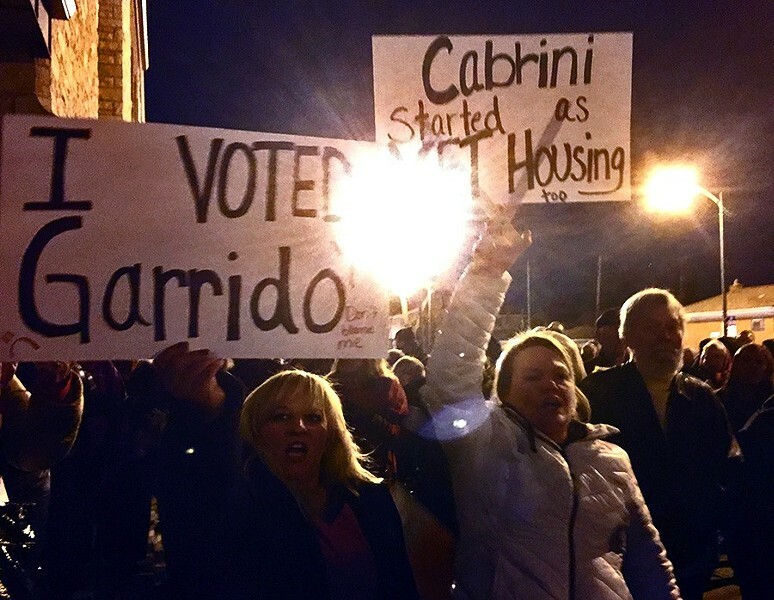 Angry Jefferson Park residents brandished signs supporting Garrido at a protest against a proposed affordable-housing development.